Abu Dhabi: The latest archaeological excavations on Marawah Island, carried out by specialist teams from the Department of Culture and Tourism — Abu Dhabi (DCT Abu Dhabi), have shed new light on Abu Dhabi’s earliest known settlement, which dates back 8,000 years. 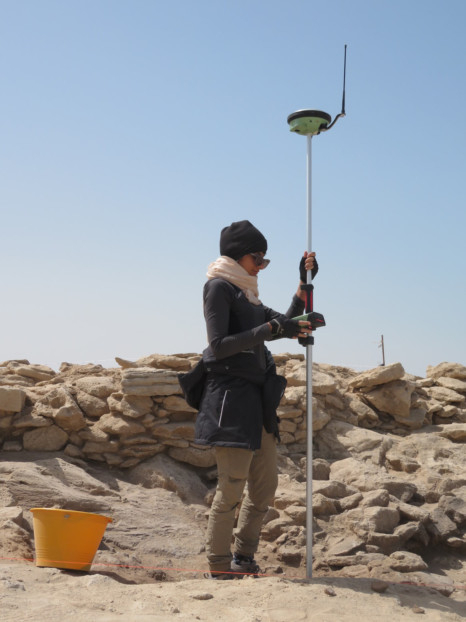 The most recent excavations, which took place over a period of five weeks in February and March, have uncovered new evidence on the architecture, art and technology of Abu Dhabi’s Neolithic inhabitants. Stone arrowheads (above) and plaster vessel fragments were found during the excavation. Expanded excavations have taken place at the site since 2017 and these have concentrated on the largest mound, revealing the presence of numerous stone buildings. The recently completed excavation season successfully uncovered the full extent of this mound with an exceptional range of artefacts found around this unique building. 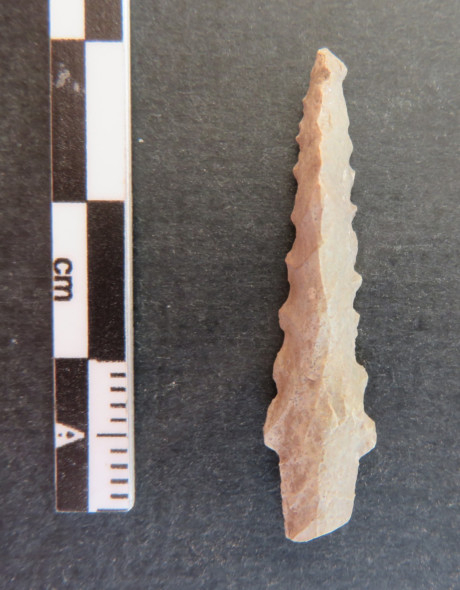 These included a large number of stone arrowheads, as well as decorated and undecorated plaster vessel fragments. 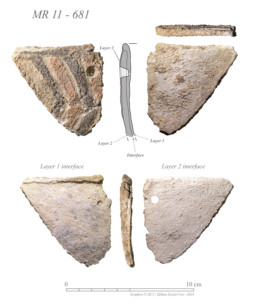 The plaster vessel fragments are richly painted and represent the earliest known decorative art yet discovered in the UAE. 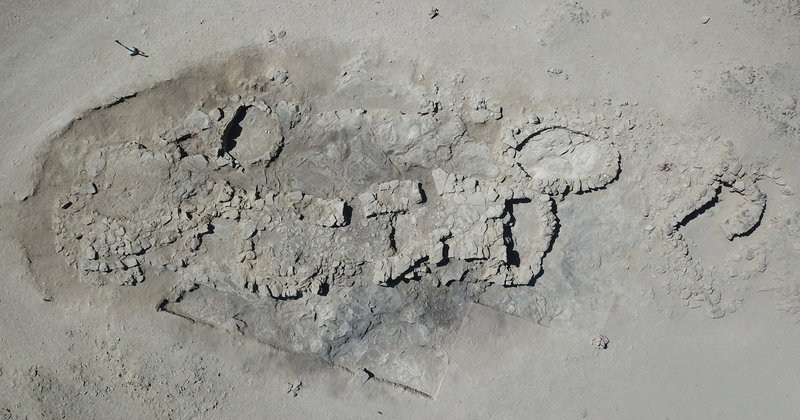 “The continuing archeological excavations we are carrying out on Marawah Island continue to uncover fascinating and revealing discoveries,” said Mohammad Khalifa Al Mubarak, chairman of DCT Abu Dhabi, commenting on the latest discoveries. “As we at DCT Abu Dhabi work to preserve, promote and protect the heritage sites that embody this history of our region so that they can inform future generations, Marawah Island continues to present stunning evidence of our past which reveals more and more of our storied origins,” he added. The dig site on Marawah Island being prepared for excavation. Previous archaeological excavations focused on one of the smaller mounds at the site, and uncovered a well-built, three-room stone structure and a number of significant finds. These included an imported ceramic vase — which the public can now see on display at Louvre Abu Dhabi — as well as flint arrowheads and pearl oyster shell buttons, which are currently on display at Qasr Al Hosn. Other finds retrieved included numerous plaster vessel fragments, shell and stone beads, marine shells, fish bones, mammalian bones from gazelles and dugongs, and cetacean bones from dolphins.